For this installment of our book review, we take a peek at the intrepid mouse, Maisy. 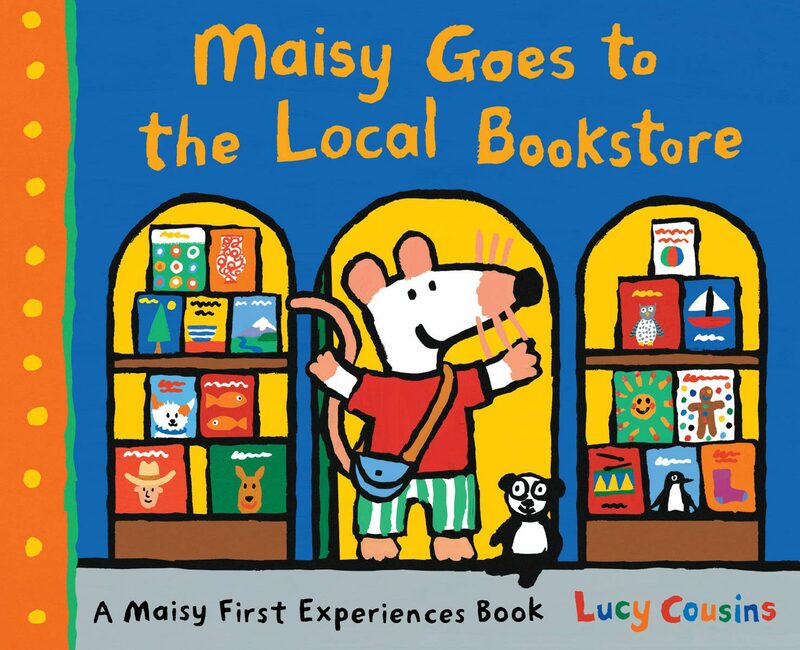 Fans of Maisy will delight in her newest adventure at the local bookstore, which is very different from her experience at the library, by the way. With bright colorful illustrations, this sweet little board book is perfectly sized and adorably written for its youngest fans between the ages of 2 – 5 years. On a hunt for a new book, Maisy ends up at a cozy local bookstore, where she tries out books on all different topics before finally settling on the book which the storekeeper suggests about birds. It’s a full-on outing for Maisy and her friends, from exploring all of the different books to enjoying treats at the bookstore café to attending a story time at the bookstore. 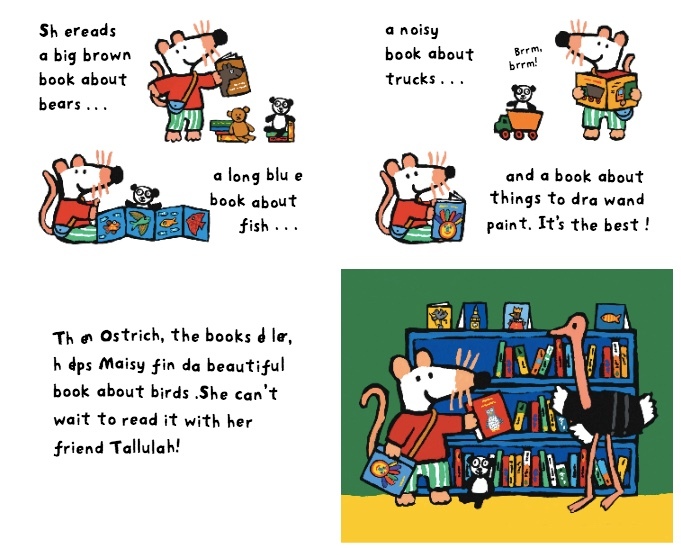 The story ends in the most delightful way possible, with Maisy gifting her book of choice from the bookstore to her friend, Tallulah, beautifully illustrating not only the joy of books and reading, but the joy of sharing books with friends. Author and illustrator Lucy Cousins makes Maisy’s personality come alive and as always, the bold lines and vivid colors of the illustrations draw the reader in to stay, capturing the interest of young toddlers up to fun-loving Kindergarteners. The Maisy books are simple and yet so well-written. And because they are so well-written, they have vast appeal to young children and become the favorites in the book basket or before bedtime. The Maisy series of books help young children learn to love books and thus, begin to instill a lifelong thirst and love for reading. Maisy Goes to the Local Bookstore is available at your local bookstore or online in hardcover, paperback, and digital formats. Check out how Maisy Mouse was created here! 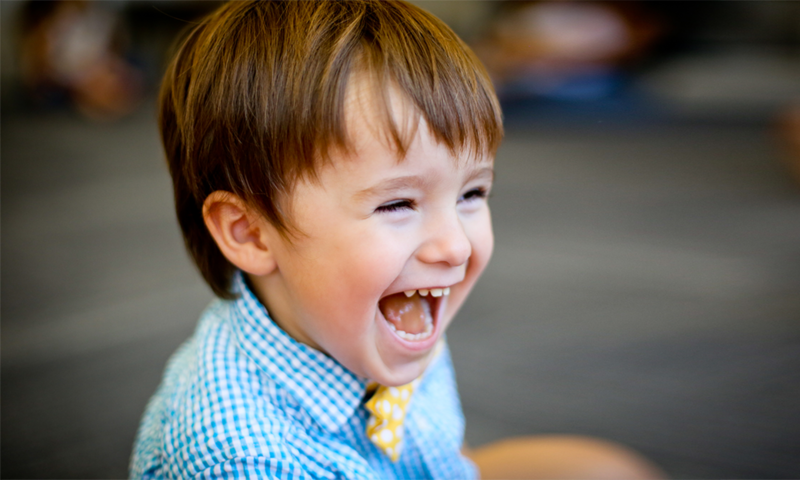 Shared by regular blogger and Kindermusik Educator, Theresa Case, whose award-winning Kindermusik Studio at Piano Central Studios changes lives every day.